StankoMashStroy represents its production at one of the large industrial exhibitions of metalworking equipment Intec-2019, that takes place in German Leipzig. This year, about a thousand companies from 23 countries present their products. Among them are the leaders in the field of machine tools, large suppliers of precision tools, innovative companies from Germany, Switzerland, Austria, Italy, the Netherlands, the Czech Republic, Russia and others. On the area of ​​more than 50 thousand square meters, about a thousand of exhibitors represent their products - modern metalworking machines, laser and welding equipment, automation systems, robotics and much more. StankoMashStroy presented one of the most popular machines of its own production. 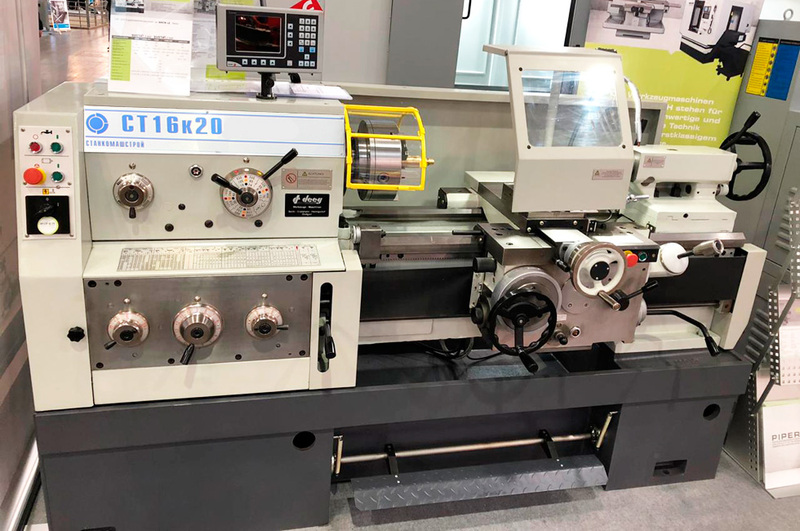 Universal turning lathe 16k20 ST series is most in demand in European countries. For the second time, a long-time partner of StankoMashStroy takes part in the exhibition – it is a German company that has been one of the largest dealers in Germany for more than two years. In October 2018, they visited Penza and became acknowledged with the production. On the first day of the exhibition, February 5, European industrialists showed great interest in Russian-made machines. In addition, representatives of the StankoMashStroy, and the CEO of the company Oleg Kochetkov personally, received a number of positive reviews from their customers, who praised an improvement in the quality of the equipment. International exhibition Intec-2019 will last until February 8. The German dealer plans to present the equipment of StankoMashStroy at another exhibition in Villingen-Schwenningen (Germany) – “DST Dreh- und Spantage Südwest” from April 10 to April 12, 2019.